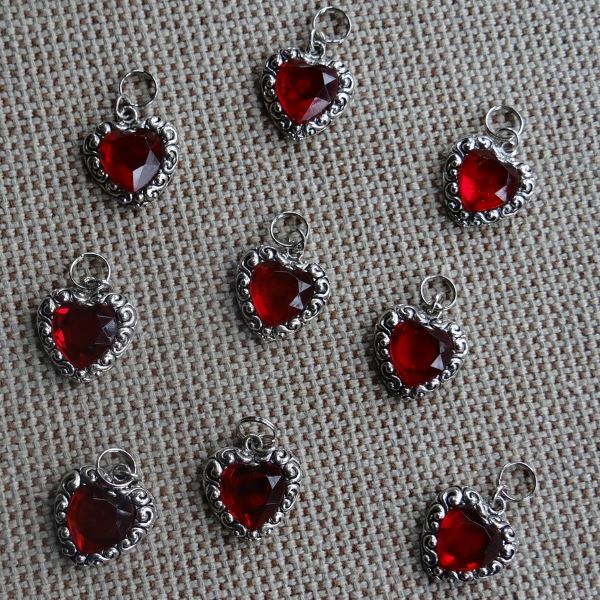 This red heart gem dog collar charm is in a silver metal set with a fancy scroll pattern around it. This large heart gem dog collar charm has a spring clasp to attach to your puppy's collar. It is the perfect Valentines day gift for your pet or to just say I love you. Each charm is sold individually.